The UV H vacuum pumps for drying processes (e.g. pipeline drying, food or wood drying, etc.). 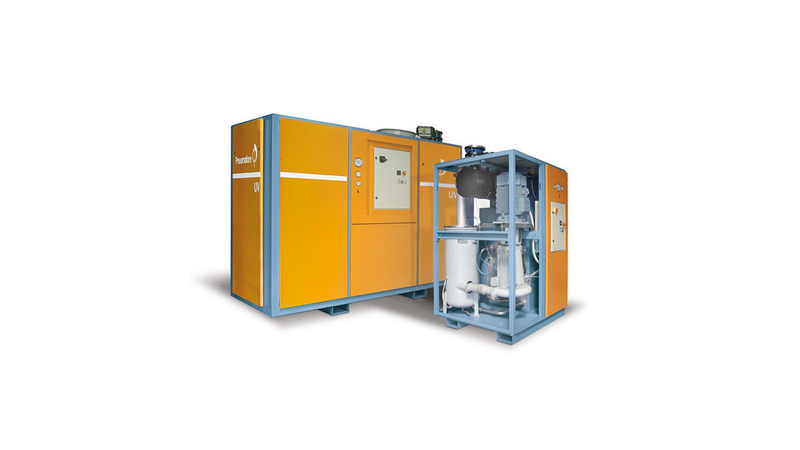 Water vapor suction capability, machine temperature 110° C [230° F] for drying processes. Unique feature, exclusively by Pneumofore.